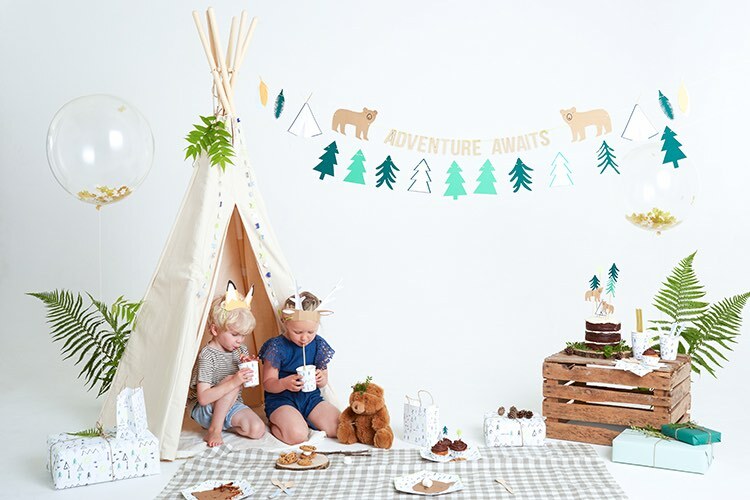 The Let’s Explore Garland is a super easy way to decorate your wilderness themed party. 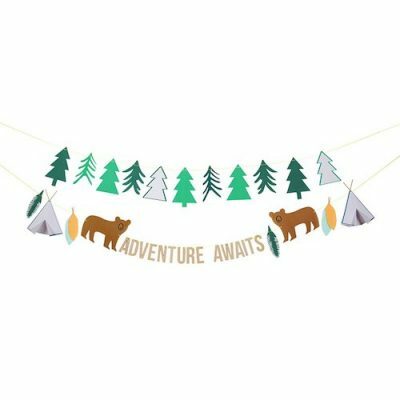 It features teepees, bears, trees and the message “Adventure Awaits”. There are 15 wooden and 14 card pennants which you can arrange on the string provided however you want.